I am looking forward to attending the USAFE Football Reunion. I will not be there on Friday but will arrive in Las Vegas Saturday early afternoon. I will be attending the banquet and staying an extra day in Las Vegas. This post is coming from my hotel room at Hooters Hotel and Casino!! A wonderful time was had by all at the Dinner Banquet last night highlighted by guest speakers Nick Richards and Bucky Fox. Scott Thomas did a great job organizing the Reunion. He reports Friday's Welcome Reception was a success as well. I will be posting pictures of the event on the web site soon. I did not attend the Welcome Reception on Friday, so if you have any pictures you wish to share on the web site please e-mail them to me. 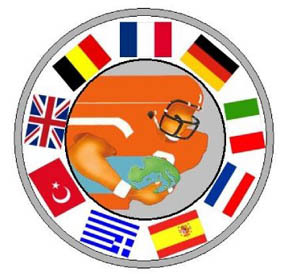 For those who miss the reunion, there are plans in the works for the fourth USAFE Football reunion in 2011. Pictures of the Dinner Banquet are posted on the web site!! The pictures are on the main page with the other reunion links. Hey Rob. I was just informed of this website today. I look forward to possibly attending in 2011. Just found this site on Jul 3, 2016. Played on TJ Raiders team 1983-1985? I'll find some pictures I'm sure a have bunch just need to know how to upload them. Ironically, I worked at Hooters Hotel Casino Las Vegas as Bike Security 2008-2013 and I'm sure I was at work during the Sep 2009 Las Vegas USAFE reunion. Looking forward to reunite with fellow teammates...calling y'all out...Don Taylor, Mark Murphy, Tony Caldwell, Nate Dixon (QB, threw that ball hard!! ), #88 (aka SAMSONITE!) and plenty more. Don't feel left out because I can't remember your name. Had serious fun, great times! It will take a minute to dig through tubs of photos but I'm sure I have a team photo also. Great find this website, thank you!! Thank you Keith! Sorry for the late reply.